Craig Bateman in Student Life on 1 May, 2016. 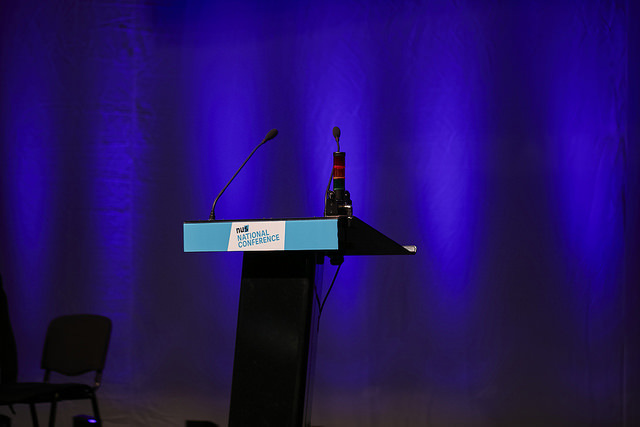 The NUS national conference in Brighton has sparked controversy. Photo by Will Bunce. Commenting on the launch of the Social Mobility Advisory Group in January, the Chief Executive of Universities UK Nicola Dandridge claimed that “social mobility in higher education is about more than just access to university. It is about fulfilling a person’s potential”. As one of the greatest enablers of social mobility within contemporary British society, it is imperative that inclusive education is not just an emotive agenda topic for discussion, but is something that is actively promoted and championed through action. When a body which claims to represent students from across the UK starts to fall into disrepute, and is labelled as seeking to “misrepresent, divide, and marginalise” minority groups, concerns about the legitimacy of such an organisation are inevitably going to be raised. Moreover, I believe that a moral obligation is created to stand up for the welfare of students who belong to such groups; social exclusion and prejudice should be stamped out whenever, and wherever, they occur. One of the issues which has been dominating student politics recently has been the appointment of controversial candidate Malia Boutattia as the National Union of Student’s new President. This is particularly controversial because of her description of her alma mater, the University of Birmingham, as a “Zionist outpost”. It also comes against a backdrop of anguish voiced in opposition to the NUS’ recent move to remove Jewish representation from the NUS’ ‘Anti-Racism, Anti-Fascism’ campaign. Former NUS president, and current Labour MP, Wes Streeting, referred to this as an example of “virulent campus-based anti-Semitism”, whilst others have labelled it as “deeply troubling”. This comes against growing contention concerning the NUS’ claim to represent all students – an issue which has been drawn further into question by the NUS’ recent decision to encourage university LGBT+ societies to drop reserved places for gay men’s representatives, claiming that they “do not face oppression” within the LGBT+ community. This move has come under fire from a range of student groups and organisations, in addition to national LGBT+ organisation Stonewall. In response to these events, a group of 50 student leaders from major societies and organisations across Durham University have signed an open letter calling for a referendum on Durham Student Unions’ affiliation with the National Union of Students (NUS). The letter, which joins with similar movements from 25 other universities, was launched on Wednesday 27th April, and has since received widespread support. A poll taken by the Tab has shown that 73% of 6,500 students surveyed would vote in favour of disaffiliation from the NUS. As someone who signed the letter, I believe that students deserve an organisation which can truly represent their views, and which serves their needs, free from the negative political connotations that the NUS seems to have acquired; an association of university student unions whose figurehead is non-partisan, and truly recognises the struggles of gay men, as well as other minority groups, within the twenty-first century. ‘A Better Durham’, which was launched on Wednesday 27 April, advocates for that possible alternative future. By calling upon Durham Students’ Union to hold a referendum on our affiliation with the NUS, students can voice their democratic opinion on the future of our representative structures. It would also give Durham Students’ Union a mandate to condemn the recent actions undertaken by the NUS. As someone who believes that social integration is a fundamental element of widening participation in student politics, I feel that this is seriously threatened when prejudicial sentiments are allowed to influence public policy. Whilst free speech is an essential ingredient in building a liberal democracy, political sensitivity and emotional intelligence are important virtues of public life. When they are seen to disappear, an obligation is created for us to voice our disapproval, and stand up for the common good. 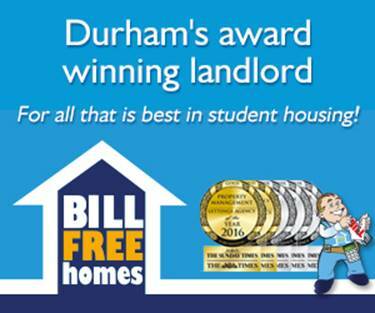 The ‘A Better Durham’ Campaign has recently launched a petition calling for the Durham Students’ Union to hold a referendum on its affiliation with the National Union of Students. The petition can be found here.